Gordon Dennis McOmber, 76, of Fairfield, Montana left this earth on January 16, 2019 following an unforeseen heart failure 2 days prior. Services will be held Monday, January 21st at 11:00 AM at the Fairfield Latter-day Saints Church in Fairfield, with a Visitation at 10:00 AM. Burial will follow at the Sunset Hills Cemetery in Fairfield. Dennis was born in Fairfield, Montana on June 21, 1942 to Willis Gordon McOmber and Marian Evelyn Corbett. 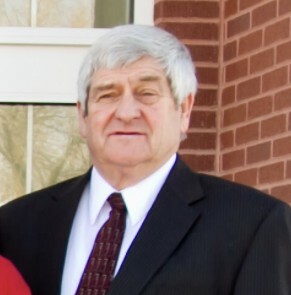 He attended Golden Ridge Elementary and Fairfield High School, graduating with the class of 1961. He went on to earn his undergraduate degree in Vocational Agriculture from Montana State University in Bozeman, Montana. There he met his beautiful wife, Hazel Elaine Moss. They were married on June 29, 1964 in the Cardston, Alberta Latter-day Saint Temple. He taught school in both Glendive and Malta, Montana before moving to Fort Collins, Colorado. There he earned his Master’s Degree in Administration and Supervision from Colorado State University, after which he moved to Denver to begin his career. While in Colorado they had a set of twins, Heather and Shawn. After deciding the city was not where they wanted to raise their children, Dennis and Elaine took the opportunity to return to Fairfield to farm his father’s land (the Willis Gordon McOmber farm in Sunny Slope.) He and Elaine had three more children while working on the farm: Shannon, Jamie, and Erin. After 15 years a back injury prevented Dennis from farming any longer. In 1989 he and his family moved to Washington State where he enjoyed various careers and relished living near the coast, one of his favorite places. Dennis and his family left Washington State in 1995 for Polson, Montana, followed by a few years spent in Roy, Utah. In 2006 Dennis and Elaine returned to their roots and moved back to Fairfield to be with his aging father. Dennis spent the last few years of his life caring for his father and enjoying the deep roots of his beloved Fairfield community. Dennis was an inventor, a dreamer, a planner, a studier, a farmer, a father, a husband, a grandfather and an example of living with love, conviction, hard work and, most of all, service. All who knew him would attest that Dennis led a life of service. He looked out and cared for people everywhere he went, always striving to make a difference in the lives of those with whom he came in contact. He would drop it all to help a friend, neighbor, family member or stranger. So many who knew him and came across his path left the better for it. There was nothing he could not fix, rig or figure out if he put his mind to it. 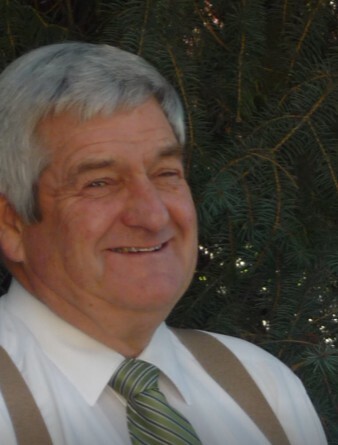 As most farmers are, he was an electrician, a plumber, a mechanic, a woodworker and a handyman and he shared his gifts and talents freely with everyone. Dennis was a man of conviction. You always knew where Dennis stood, and where you stood with Dennis. He had the ability to make people feel as though they mattered. His love and approval were very meaningful to the people who knew him best. Dennis’ convictions and faith were pillars upon which he lived and built his life. He was an active member of the Church of Jesus Christ of Latter-day Saints and his faith, values, morals, and testimony of the Living Savior Jesus Christ were very apparent and very important to Dennis throughout his life and beyond. Dennis loved his family, immediate and extended. Family and togetherness was one of the most important things in his life. He was a staunch advocate of family reunions and visited his kids and relatives as often as possible. He planned and executed each reunion with a thoroughness and attention to detail only he could achieve. Through these efforts he kept his family bound together. Dennis loved to travel. He had just bought his dream vehicle: a Ford Transit van he intended on turning into a mini Hilton on wheels (minus the flushing toilets.) In his own words, Dennis said he “wants to see what’s over the next hill.” We know he is out there doing just that. Dennis is survived by Elaine (Moss), his loving wife of 54 years (and the patient supporter of his hydrogen experiments in the garage), as well as his children, Heather (Shane), Shawn (Cathi), Shannon (Shawn), Jamie (Blair), and Erin (Jim). He leaves behind 15 (soon to be 17) grandchildren: Seth, Sutton, Stran, Stone, Isaac, Eliza, Lillian, a set of twin girls on the way, Sydney, Allie, Whitlee, Quincee, Jethro, Jonah, Jack, and Max. He is also survived by his sister, Sandra Sue Taylor (Lenny), as well as numerous beloved family members including nieces, nephews, cousins, brothers and sisters-in-law and many more. He is preceded in death by his father, Willis Gordon McOmber, his mother, Marian Evelyn Corbett, and his brother, Gene Bryan McOmber. Dennis loved his family deeply. His absence will be keenly and sorely felt by each one and by all who had the privilege to know him.